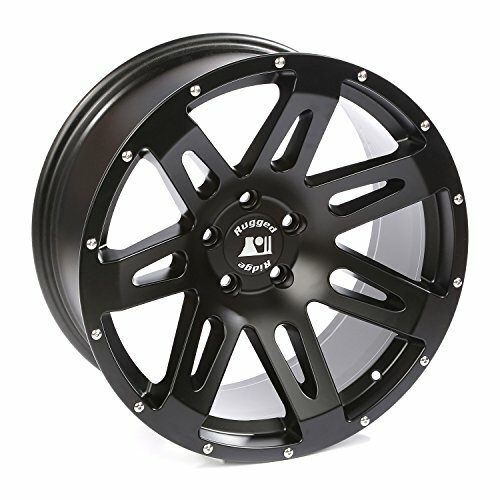 This new satin black XHD wheel is a direct bolt-on replacement measuring 20 x 9 inches and features a -12 mm offset and 4.53 inch backspacing. The new design is hub-centric so the wheel precisely centers itself; resulting in less wheel vibration and allowing ultimate control and consistently smooth travel for even the most rugged of expeditions. In addition to minimizing wheel vibration, the hub centric design also avoids clearance issues for brake rotors, steering components and suspension travel found in other wheels. Specifically designed for the JK Wrangler to provide optimal clearance for brake rotors, suspension and steering components. Center cap is included. All XHD Wheels can use both full and low profile center caps.